As football season wraps up, color guard is heading inside for a season of winter guard. Winter guard was recruiting new members Nov. 28 and 29. 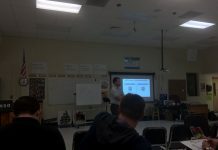 They held auditions in the band room after school to create a new team. 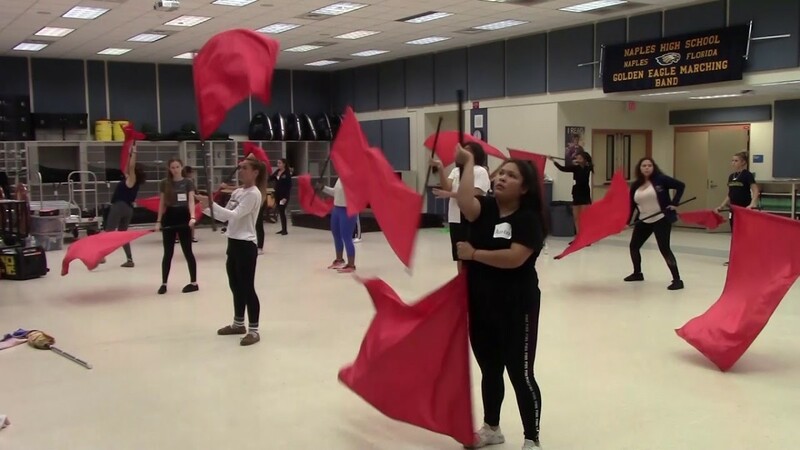 “Winter guard is during the spring semester, and instead of performing with a marching band on the field, they perform inside of the gym with a tarp on the floor to a song,” winter guard coach Nina Garcia said. It is based solely on the team and their performance as winter guard. “Winter guard is mostly just based on us girls and the work that we do without band,” junior Silvana Velasquez said when talking about her favorite part of winter guard. The team will compete in a few different competitions against other teams during the season, including The Florida Federation of Color Guard Circuit. “I love putting on the uniform and representing our school the best we can at competitions,” junior Amanda Fuenzalida said. In order to prepare for their performances the team has had to work hard to get their routines down. “I practice the routines a lot and different techniques to prepare,” senior Jordan Bays said. Those who auditioned found out if they made the team on Dec. 3.